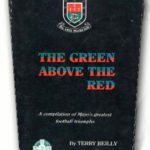 The glorious history of famed Ballina Stephenites, right up to the club’s centenary in 1986, written by Terry Reilly who covers all Gaelic games activities, with additional text by his brother, the late John Reilly who recorded the surprisingly successful history of squash racquets at the club. 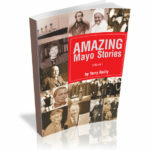 The book is full of great and rare photos which are in themselves a huge part of the social and leisure fabric of the town. All the club’s major successes, up to 1986 are recorded, starting off from before the day James Wallace Melvin (aka Larry Doolin) founded the club in 1886 with the intention of taking on the best teams in the land. All underage successes are recorded, with pertinent details from all finals, including teams and scorers, where available, and all adult games are also covered, including hurling and camogie. 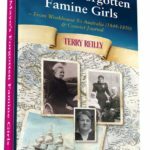 Also dealt with are thrilling Croke Cup triumphs in the early 1900s, two GAA Congresses hosted by the club in the 1980s, and the national GAA centenary event for emigrant clubs, Welcome Home Week. Ballina played host to teams from Scotland, England, America and Australia. 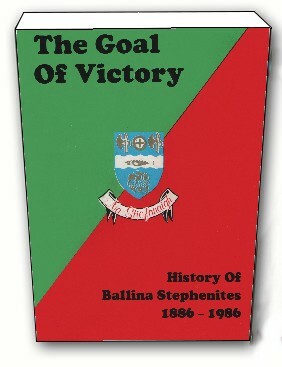 Today Ballina Stephenites are recognised as one of the most successful clubs in the GAA and this book is a must for anyone who wants to understand the sporting history of the town. 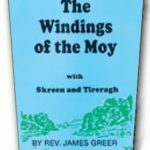 Now out of print, but limited copies available from the author.